how sweet! i love it, meg- that fabric is fantastic. i really that it is fully lined too- it looks so nice. Meg - what a super job you have done with that. Any sign of your parcel from Aus yet???? ooohhh, i love it, what a nice fabric. 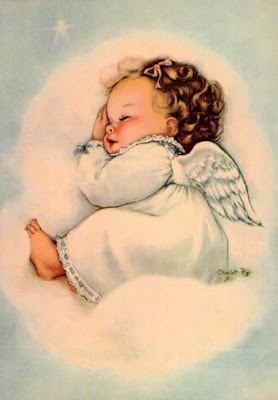 Your little angel is so sweet and touching! wow, meg, i love this one !! Oh Meg that dress is sooooo sweet! Thank you for visiting my Cherry Heart Boutique grand opening! I have entered your name in my blog give away! Good luck! 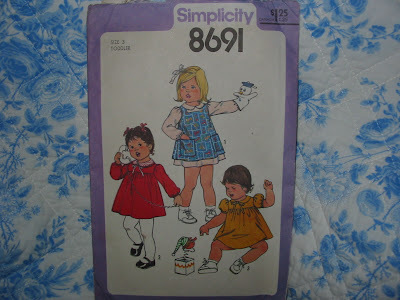 What a dear little dress Meg, and I love the fabric..very cute. Meg, I love that kitty cat fabric, and you are so clever to match that pocket. Glad the parcel arrived safely. Wow, Meg! That is adorable! Absolutely adorable! And I am totally impressed with the way you matched up the pocket!! yeah! This is stinken' CUUUUTEEEE!!!! I love it! Gorgeous...gorgeous...gorgeous.....Meg and very clever of you to match the pocket. I would have needed a lie down after doing that! 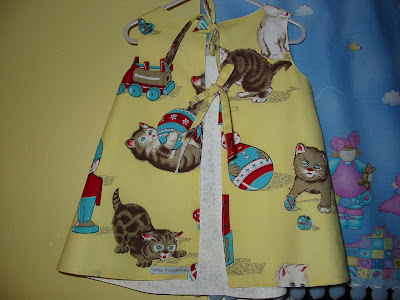 Meg, your apron is absolutely beautiful..I love the fabric with the kittens. That apron is adorable. I'm so jealous of the fabric! Wow, I can't believe how perfectly that pocket lines up! So cute. 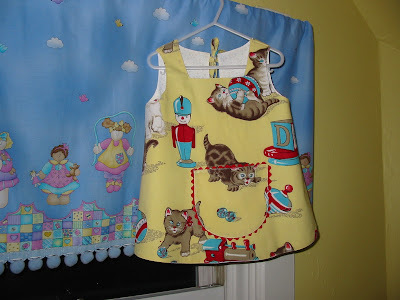 I love the fabric you have used, and its perfect for that little apron!